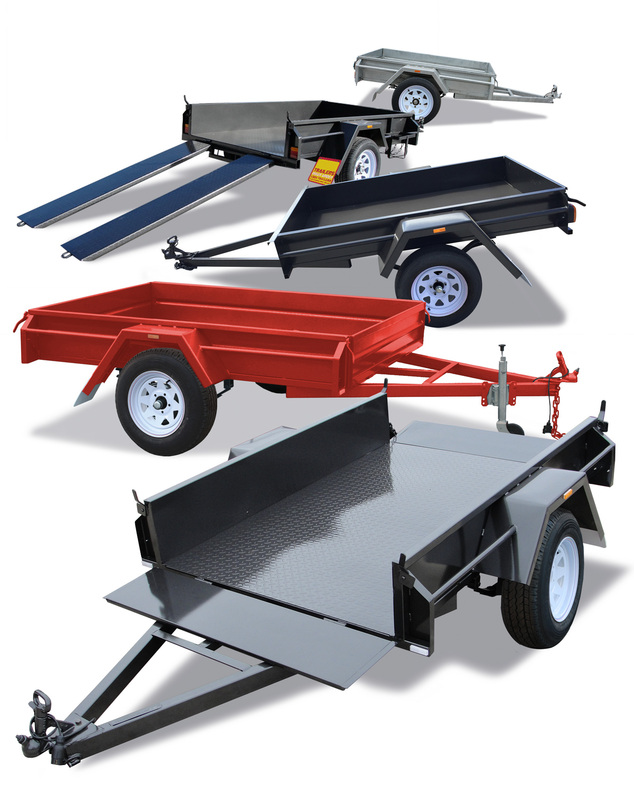 Trailers Down Under sells a range of single axle Box Trailers, one of the most practical styles of trailer around. Ideal for the home handyman, hobbyist or tradesman; it can be used for almost any task. Ideal for lugging all sorts of things such as firewood, furniture, white goods/ appliances, building materials, mulch, plants, soil, rubbish, and more. For your Box Trailer, you may want to add further functionality to this platform with a bolt on cage, a front tool box, slide under ramps, drop down ramp, spare wheel(s), compressor box and more.